7 bedrooms have their own bathrooms. 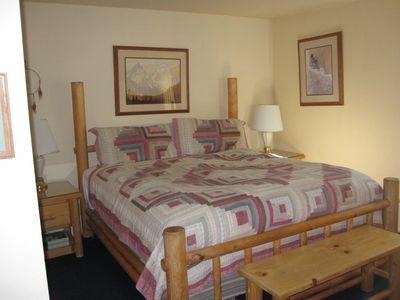 1 suite of two separate rooms share a bathroom. 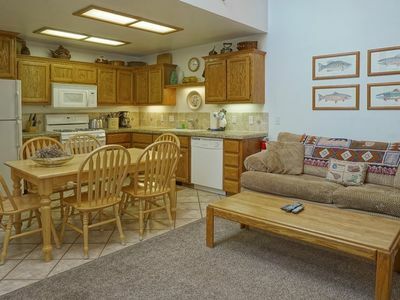 1 bedroom has a total of six beds. 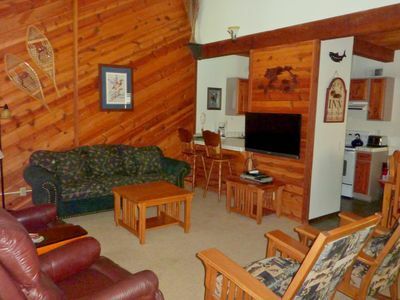 Victory lodge can sleep 7 couples and six people in the bunk room for a total of twenty people. There are a total of 9 bathrooms in the house. 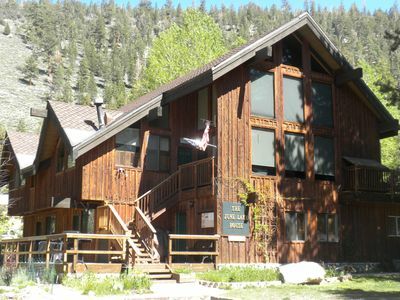 Victory lodge is an architectural masterpiece set against the backdrop of the magnificent sierra nevada mountains of california. 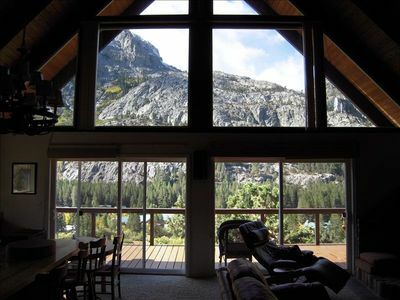 Directly overlooking gull lake, this exclusive private residence offers spectacular views of carson peak and the june lake ski area. 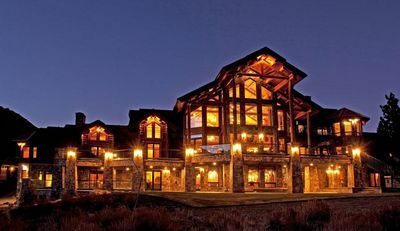 One of the largest log home structures ever built, the unique trophy property offers abundant space and privacy. Masterful craftsmanship and attention to detail are the hallmarks of victory lodge, an epically proportioned mountain estate built as a multigenerational legacy home. The massive log-and stone structure, which encompasses 16,500 square feet, blends rustic western frontier flavor with luxurious contemporary finishes and amenities. Victorian era antiques, fine furnishings and exquisitely wrought bronze and millwork throughout complement and enhance the rugged airy interiors. A circular drive leads to the front portico, which is flanked by huge stone columns. Upon entering the residence, one is awed by the majestic dual staircase made of perfectly matched split logs. 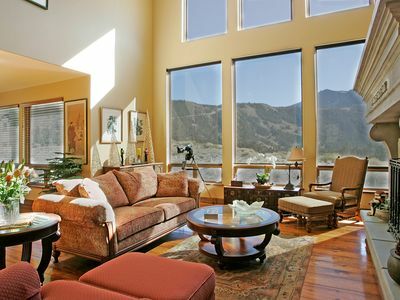 Just beyond the foyer is the expansive great room, where a towering wall of windows showcases breathtaking lake and mountain views. The world’s largest elk antler chandelier graces the great room from the thirty foot ceiling, and a hand-laid stone fireplace with copper finishes commands a central position. Another highlight is a thirty-eight foot beam with elaborate hand-carved detailing. 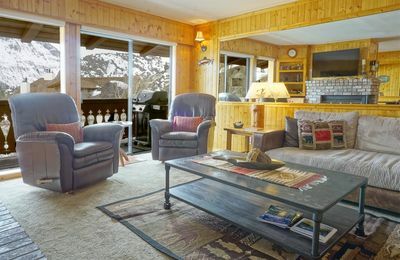 A variety of seating areas invite both large scale entertaining and intimate conversation. 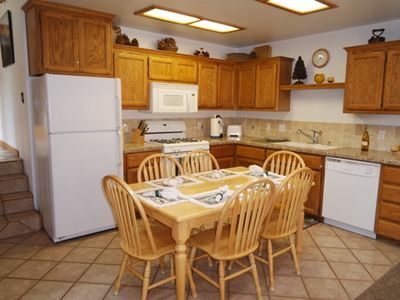 The large gourmet kitchen features granite countertops, elaborate custom cabinetry, and state-of-the-art appliances. Unique fixtures and hardware are lovely accents to the gracious styling. 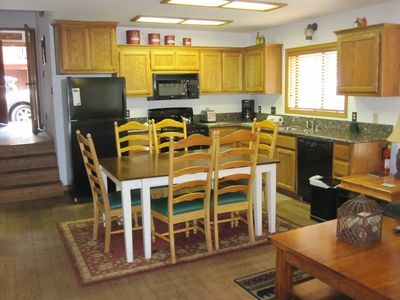 There is also a commercial grade butler’s kitchen for entertaining convenience. Ideal for memorable repasts, the adjacent formal dining room boasts etched glass lighting and a beautiful oval oak table that seats eighteen. The eight expansive bedrooms, which are distributed on the upper and lower levels, are appointed with fireplaces and luxurious en suite baths. Beautiful furnishings provide comfort and luxury. On one of the upper floors, a gentlemen’s game room awaits with a minibar and various custom crafted table games. The lower level features a 80 person conference room / reception room with a full service cherry wood bar, walnut flooring, a copper stamped ceiling, enormous stone fireplace and an antique piano. Further enticements on this floor are the professionally equipped gym that includes dry and steam saunas, and the media and arcade rooms. An elevator serves three of the levels. Extensive decks and patios provide the perfect spot for savoring the spectacular vistas. 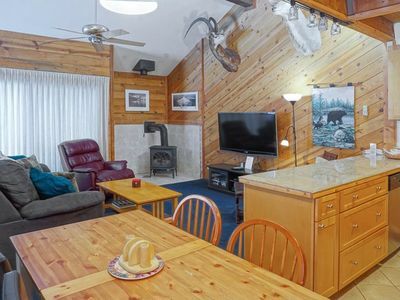 On the main floor, the covered patio has a built in thermador barbecue area, while the lower level patio is warmed by a wood burning fireplace. This 3.22 acre estate encompasses a sport court® that overlooks the lake. 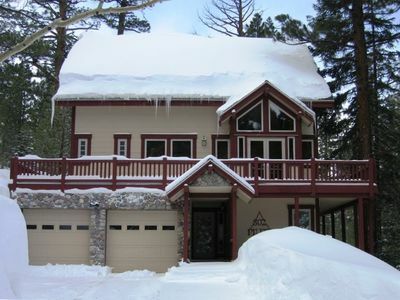 An attached five car garage and two detached multiple vehicle garages offer additional parking and storage for snow equipment. Part-time caretaker on premises is available in the event of emergencies and to answer any questions related to the house and the house rules. How do i control the temperature in the bedrooms? Controlling the heat in each room is managed by the thermostat on the wall. Where do i take out the trash? In the garage closest to the house on the south wing. This is accessible inside through the kitchen, through the prep kitchen. This is a private estate on 3.22 acres. 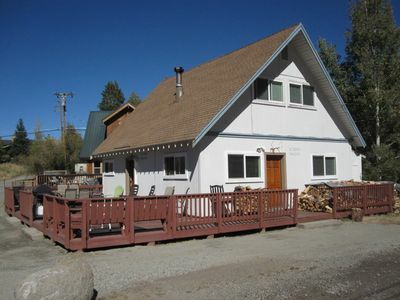 The city of june lake is a short walk away, including a few restaurants, bars, retail shops and grocery store. 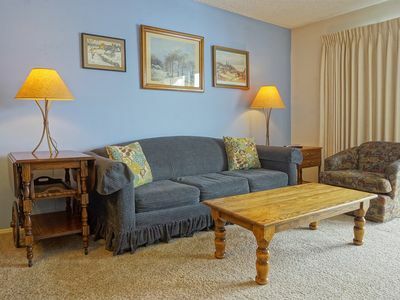 Double eagle resort and spa is just minutes away with great dining, shops and day spa. Your car is the best mode of transportation for getting around the area, when you aren't hiking or biking. 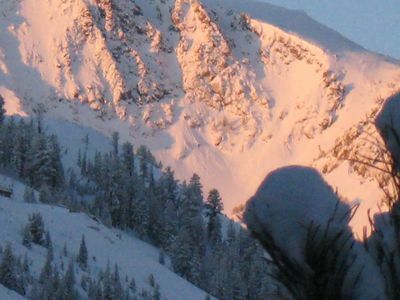 June mountain ski area is a mile away and mammoth mountain ski area is 30 minutes. The perfect finishing touch to this extraordinary residence is its enviable setting. 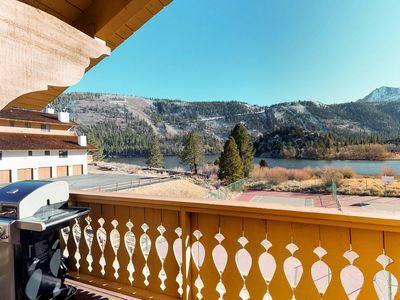 Nestled amid sparkling mountain waters and surrounded by dramatic peaks, the historic village of june lake is centrally located among such worldwide destinations as yosemite national park and the celebrity sports playground of mammoth mountain ski area. Myriad activities offered throughout most of the year include bird and wildlife watching, camping, climbing, hiking, fishing, water sports, and nature photography. 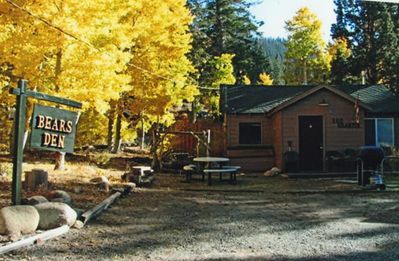 Resort-style lodging and an excellent variety of restaurants and cafes make june lake an incomparable getaway. Please bring your own bikes. Store these in the garage. Please bring your own fishing poles. Store these in the garage. Please bring your own skis and snowboards. The mud room adjacent to the kitchen is temperature controlled and the best place to store you equipment. Please enter and exit the house with your equipment through the garage, located on the south wing of the house. Sports court equipment is located in the closet in the gym. You are welcome to use this during your stay. Please put it back after use. Stunning Home in the Switzerland of the Seirras. 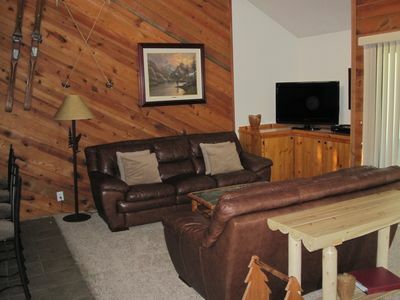 Aspen Meadows is centrally located on the June Lake Loop. Interlaken 15 -Lots of sunshine, views and large spaces. 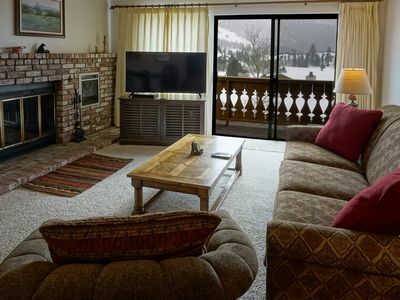 Interlaken 35 is where you will sit surrounded friends and family drinking in the views of Gull and the High Sierra. Overlooking June Lake, in the middle of June Lake Village. 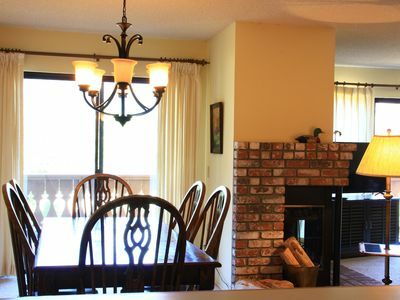 Interlaken 3 bedroom, 3 Bath perfect for the entire family.